As a Destination Wedding Photographer, I am blessed to be able to travel the world to shoot weddings. In my travels I have photographed brides and grooms in some of the most beautiful parts of the world at a variety of destination wedding venues including beaches, villas, hotels, manor houses, you name it. I would consider the Alila Ubud Hotel in Ubud, Bali as one of the best venues and settings I have had the privilege to work at. The images above are selected from Stine and Julian’s Bali Destination Wedding at Alila Ubud Hotel and give you a good idea of what this incredible venue offers. Alila Ubud is a luxury hillside retreat just on the edge of the Ayung River valley in the village of Payangan and when I arrived the morning of the wedding I really was blown away by its beauty. The final few minutes drive down to the hotel was through winding lanes surrounded by rice paddy fields stretching off in to the distance. The staff at Alila are all so friendly and professional and the Hotel provides so many fantastic options for photography and ensures your Destination Wedding is one that everyone will remember. When I discovered the ceremony location and that there were old temples on site to explore – I knew this was a venue that would produce some special memories for all in attendance. 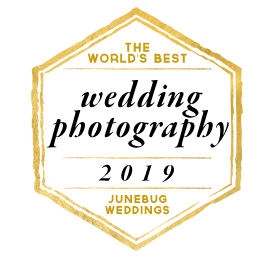 If you decide to work with me as your Alila Ubud Hotel Wedding Photographer you will be working with an award winning, experienced destination wedding photographer who knows the venue and how to get the best out of it.